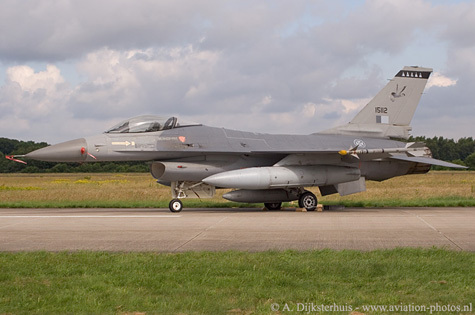 The annual open days from the Royal Netherlands Air Force were held in June (16th/17th) at Volkel AB. This edition attracted several aircraft that are not that often seen in the Netherlands, including a Su-22M-4 and a pair of USAFE A-10s. On the Saturday, the sun was seen on a more regular basis later in the morning, until the end of the show, when a thunderstorm interrupted the display of the Patrouille de France. All the photographs were made on the Saturday. Leeuwarden AB will host the 2008 edition. Several highlights could be seen on static display. One of them was the Polish Air Force Sukhoi Su-22M-4 with serial 3713 which is seen above. 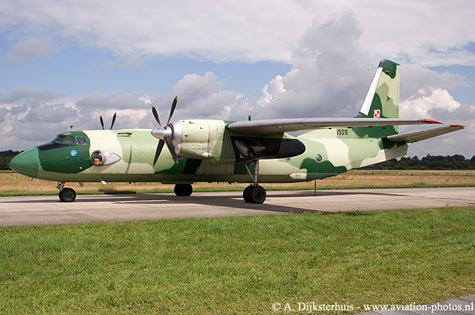 The Toothpaste and underwear for the Su-22M-4 pilot arrived at Volkel with this Polish Air Force Antonov 26 with serial 1509, which is seen here in a lovely, non standard, livery. Much better than boring grey. 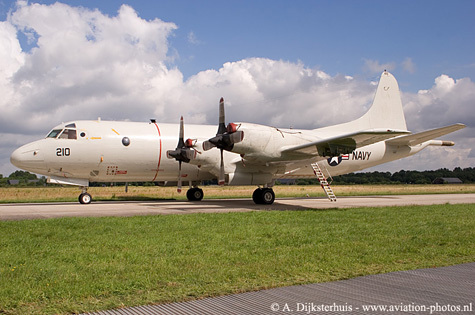 In the past, Orions could be seen on every open day, but since the Dutch Orion fleet was sold to Germany this isn't a standard participant anymore. Fortunately, the US Navy was willing to participate with one of their Orions. P-3C with serial 158210 is seen here with some nice clouds in the background. 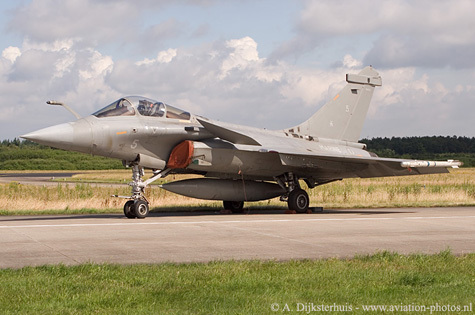 The Aeronavale was present during the Open Days at Volkel with two Rafale M aircraft, one of them with serial 5, is seen here. 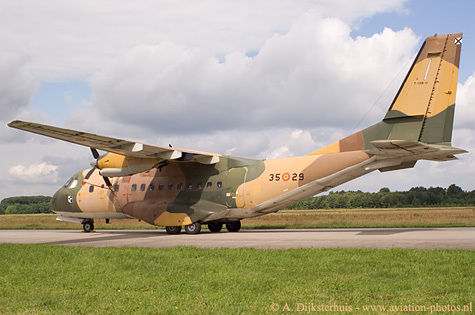 This was the first time that the Aeronavale participated with Rafales at the Open Days of the Royal Netherlands Air Force. Another type operated by the Aeronavale, the Super Etendard, could be seen as well. Three generations at a row on static display. 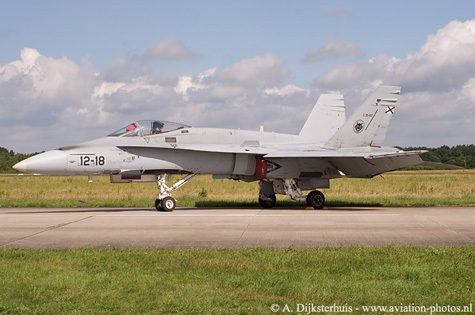 This EF-18A+ Hornet with serial C.15-60/12-18, fits perfectly between the elderly Polish Air Force Su-22M-4 and the new Rafale M from the Aeronavale.